Our team consists of three physiotherapists, Frank Tedesco, Annie Angove, and Poi Leung. We have two highly skilled massage therapists, Denise O’Maonaigh and Allyson Kenelley. Our friendly receptionist is Merici Thompson. Our physiotherapists were trained at the University of South Australia, which is considered the world leader in both research and clinical practice. Our physiotherapists are also Members of the Australian Physiotherapy Association, which means we practice in accordance with the APA Code of Conduct and are committed to professional excellence. Our team is committed to providing clients with caring, personalised and high-quality physiotherapy services to help them achieve their health and fitness goals and improve their quality of life. Hands-on therapy and acupuncture are used to address joint and muscle dysfunctions and improve postural alignment and biomechanics. This is used in conjunction with exercise programs, based on the Pilates method, to re-educate weakened muscles. Together these treatment tools assist us in effectively rehabilitating our clients to their best possible state-of-health. With our focus on our “Whole of Body” therapy approach and self-management, our clients are empowered with the knowledge and skills to manage their own conditions in the long-term as well as seeing the short-term results. Frank Tedesco graduated from the University of South Australia in 2000. He went on to work for two years at Wakefield Sports Clinic in both inpatients and outpatients. He also worked in the gym and hydrotherapy pool developing rehabilitation programs. He has a particular interest in sports and has worked with a variety of sporting teams in Adelaide and London. In 2003 Frank undertook a 3 year working holiday in the UK working in some of the leading hospitals in London including St Thomas Hospital. During this time he was also team physiotherapist from numerous soccer and rugby clubs and worked at the London marathon. Frank Tedesco takes a holistic approach to diagnosing and treating the cause of each client’s problems using his skills in manual techniques and exercises prescription. He has over 14 years experience in private practice both locally and abroad Frank has been the team physiotherapist for the Metro United Women’s Football Club since 2006. 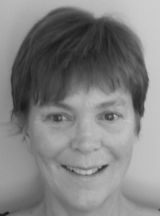 Annie Angove completed a Bachelor of Applied Science in Physiotherapy in 1978 and has since worked in a variety of private practices, hospital and rehabilitation centres in England, Canada and several states within Australia. Annie has extensive experience from the acute stages to independence. Annie’s main interest is in improving clients’ quality of movement and translating that into their functional daily activities at work, home or in sport. Rehabcorp Physiotherapy’s friendly and efficient administration team comprises of Merici Thompson.